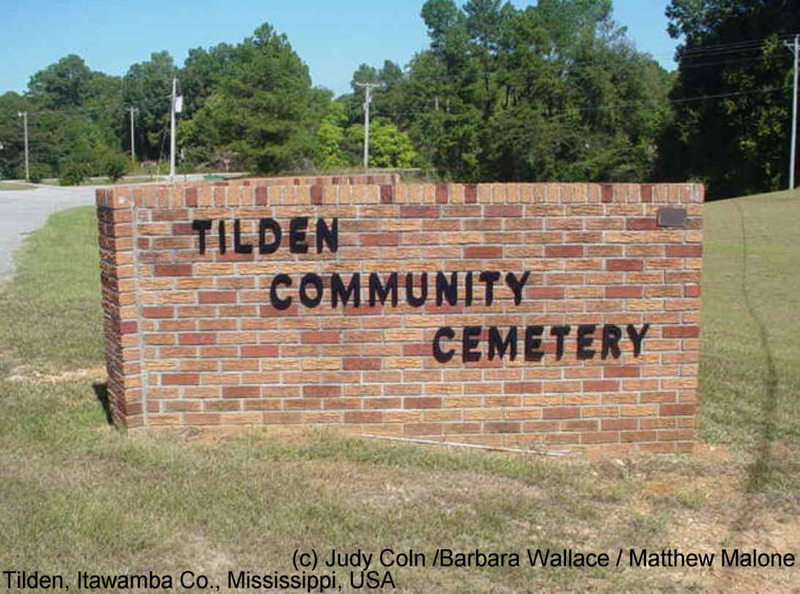 Tilden Community Cemetery is adjacent to Tilden Church of Christ. Going south on Highway 25, it is on the left side of the highway. This cemetery is NOT to be confused with the Union Grove Baptist Church Cemetery which is on the right just immediately past Tilden Community Cemetery.